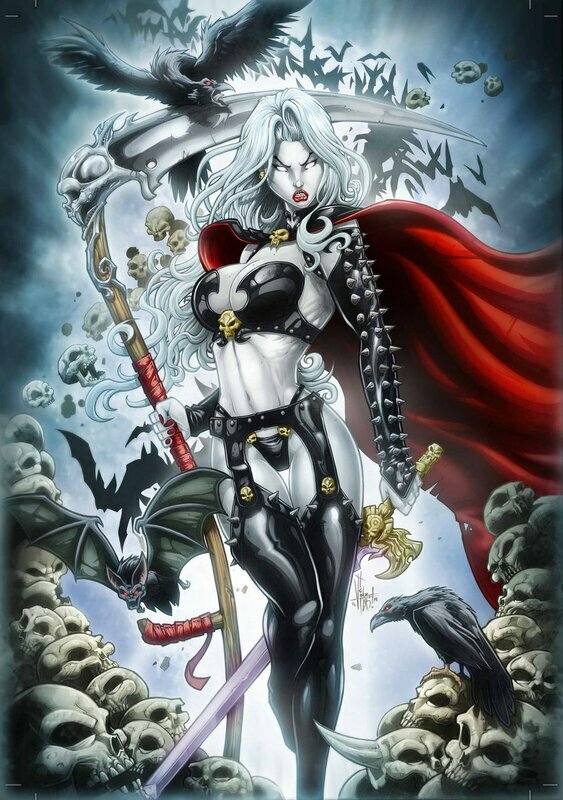 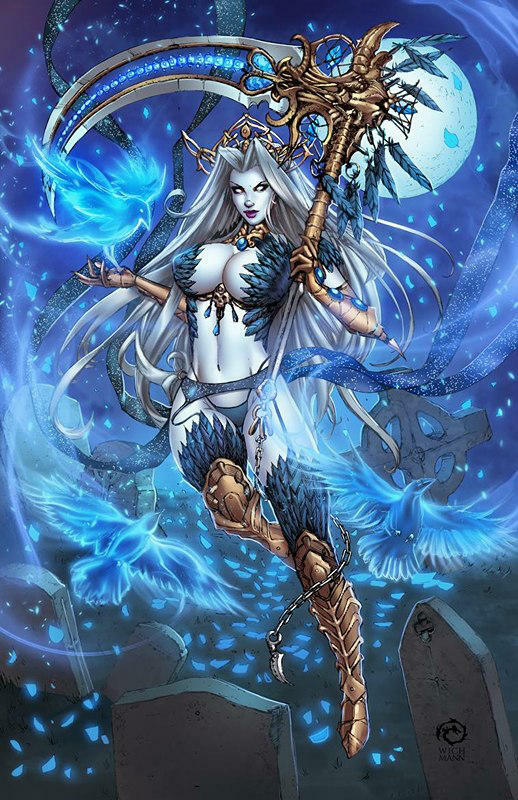 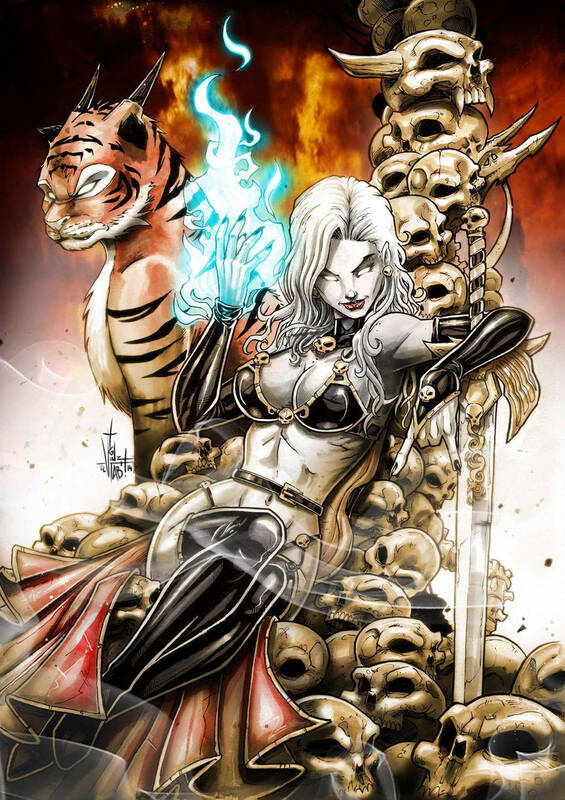 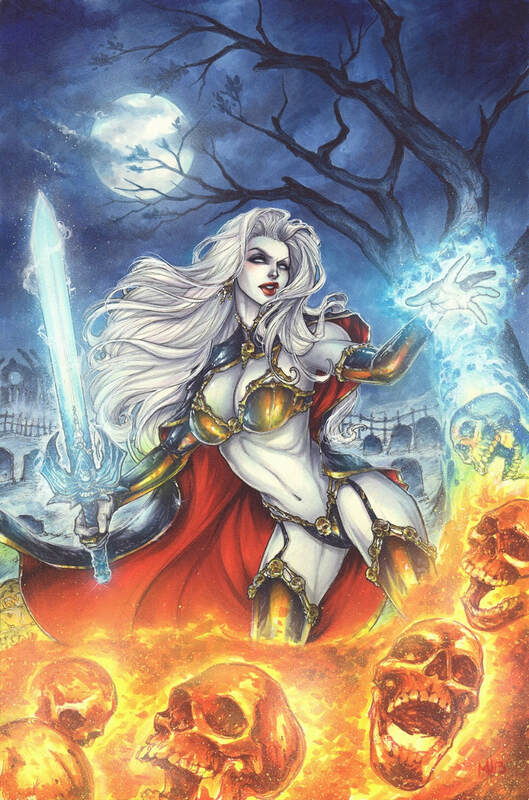 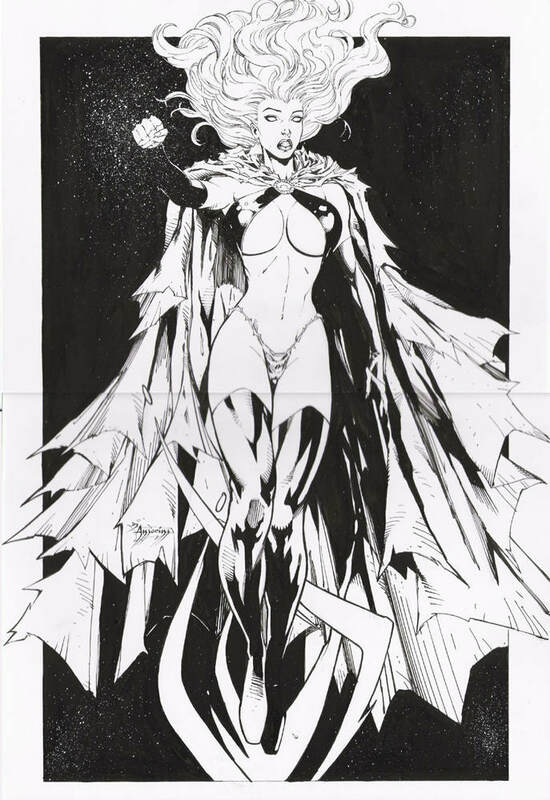 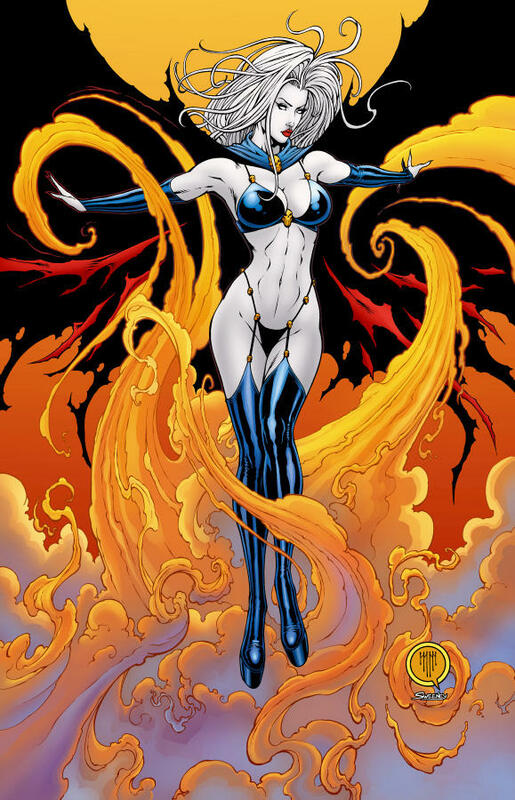 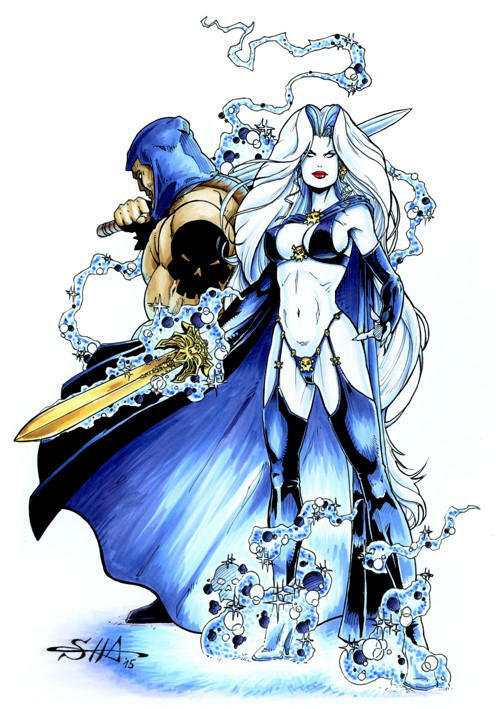 Lady Death is a relatively new character, having been created by Brian Pulido in 1991 when she was introduced in the comic series, Evil Ernie. 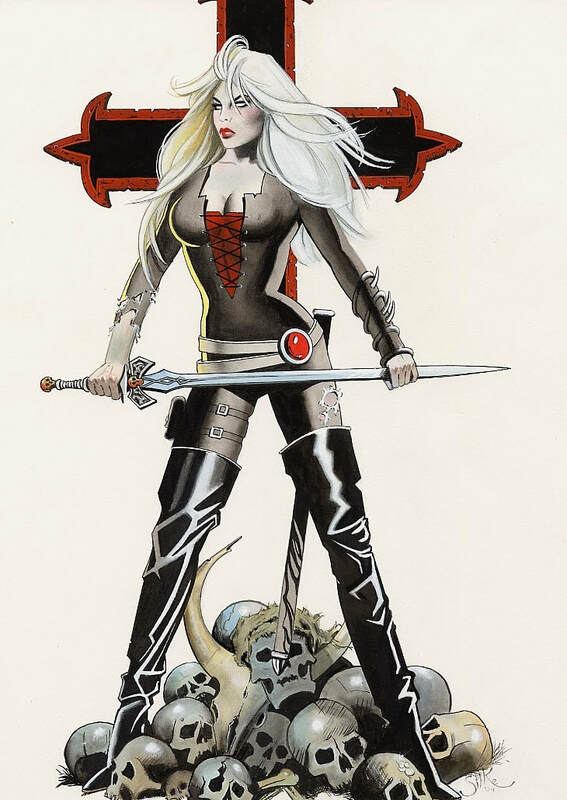 Since that time she has become a favourite subject for pinup artists. 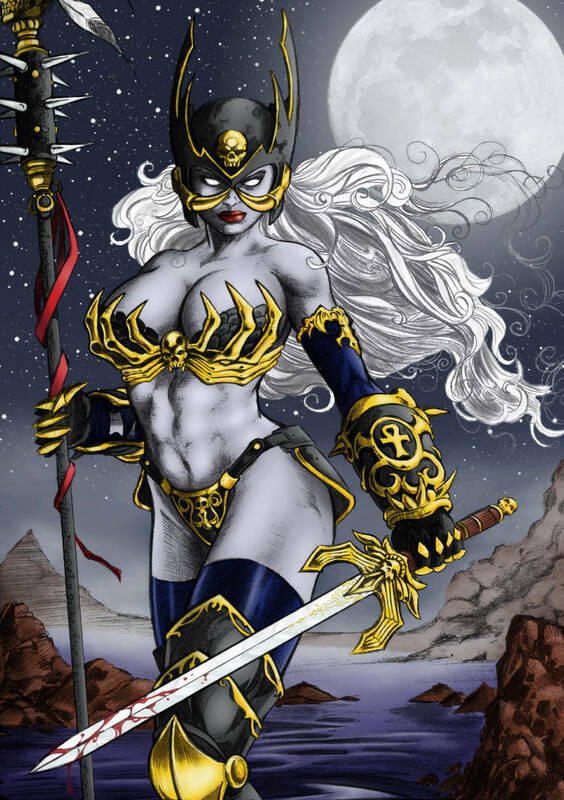 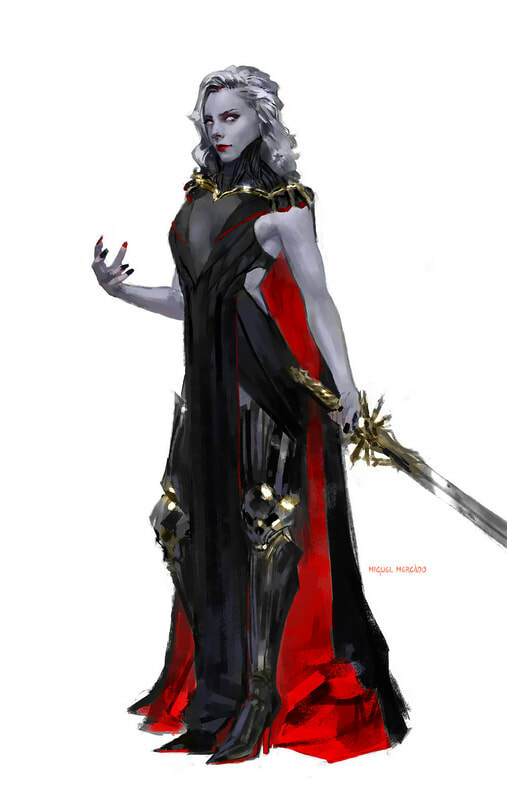 There is a beautiful juxtaposition in her design between her flawless alabaster skin and white eyes with her ornate and intricately-detailed armor that typically leaves her appearing scantily clad. 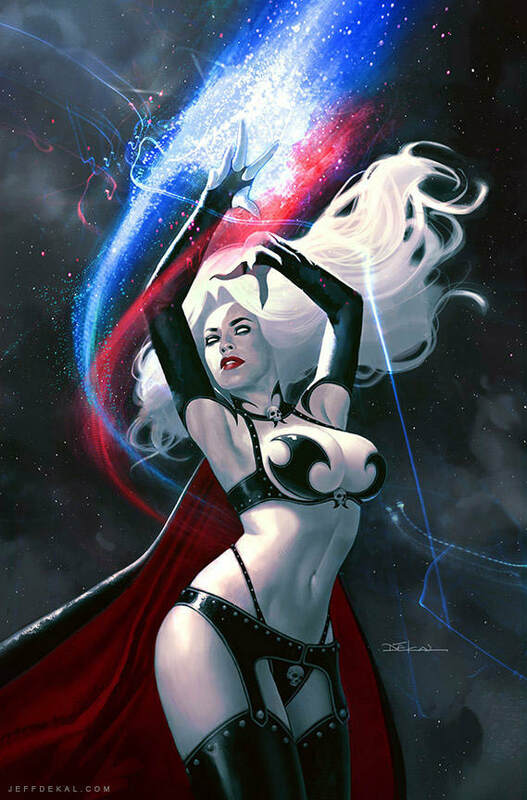 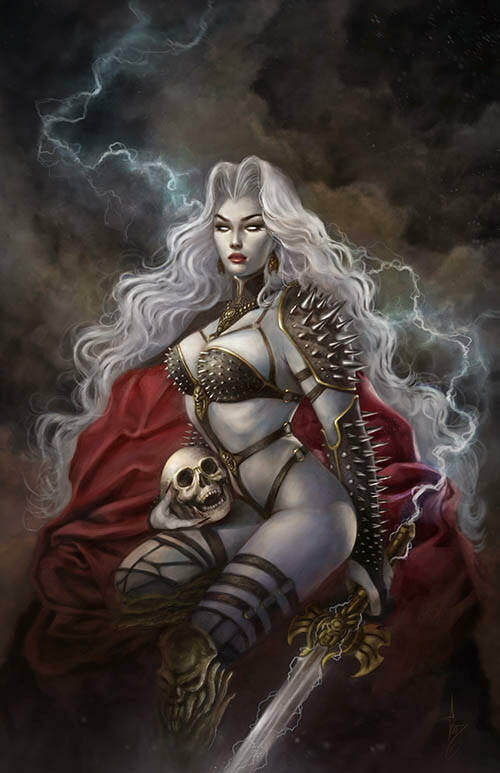 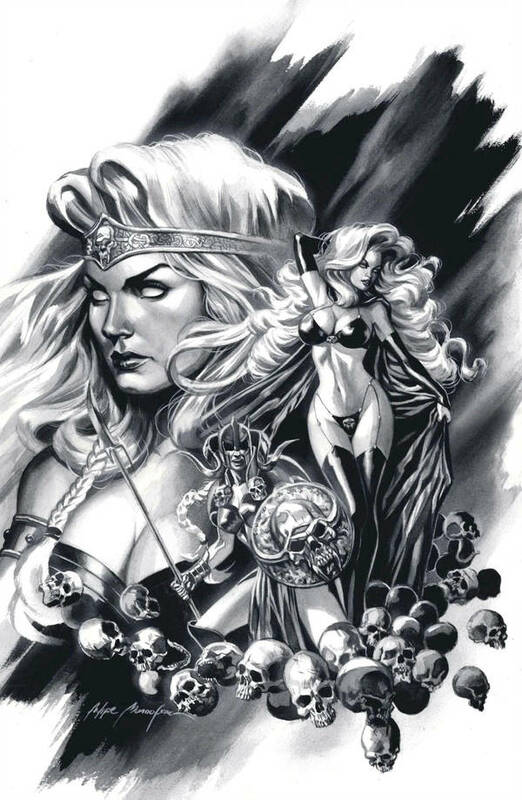 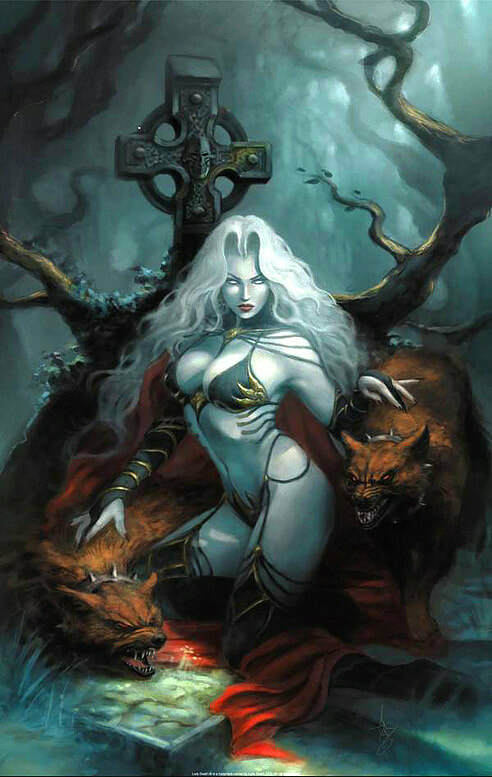 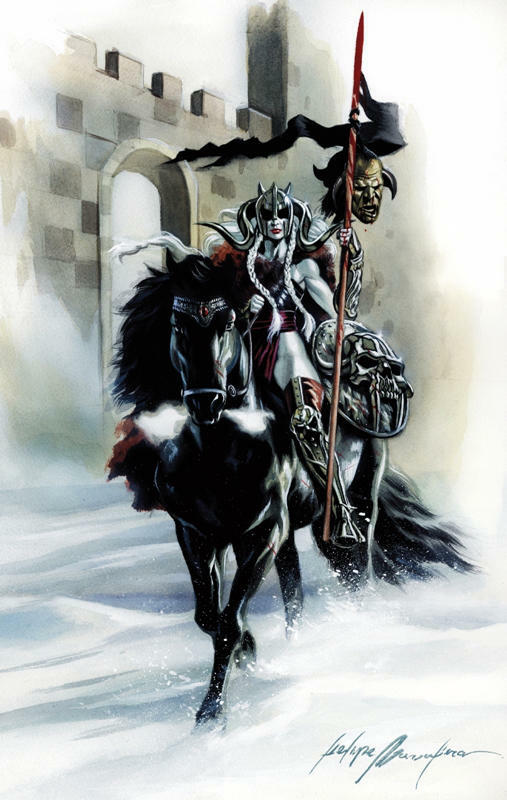 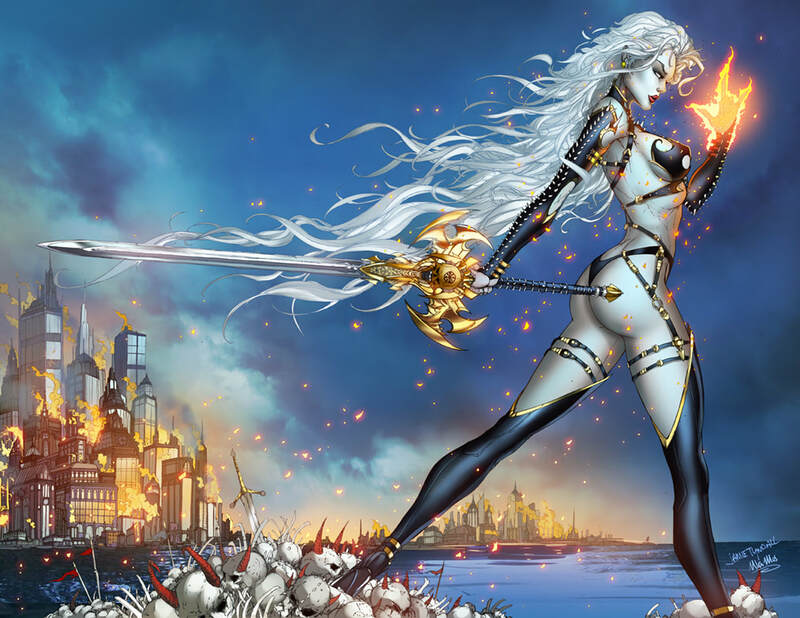 I have put together my personal gallery of what I consider to be the 100 best Lady Death pinups. 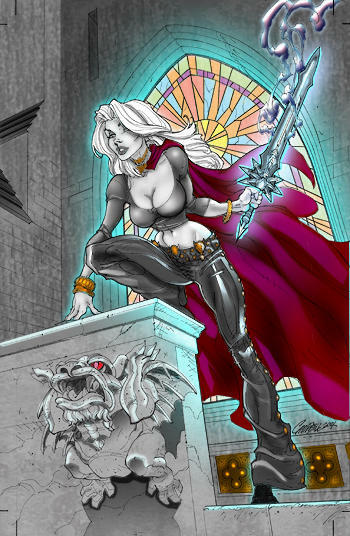 The pieces are in no particular order... click for full view, and apologies for a few pieces with ugly watermarks. The only way around this is labor-intensive photoshopping to make the mark less obtrusive, or involves using screenshots at Instagram. 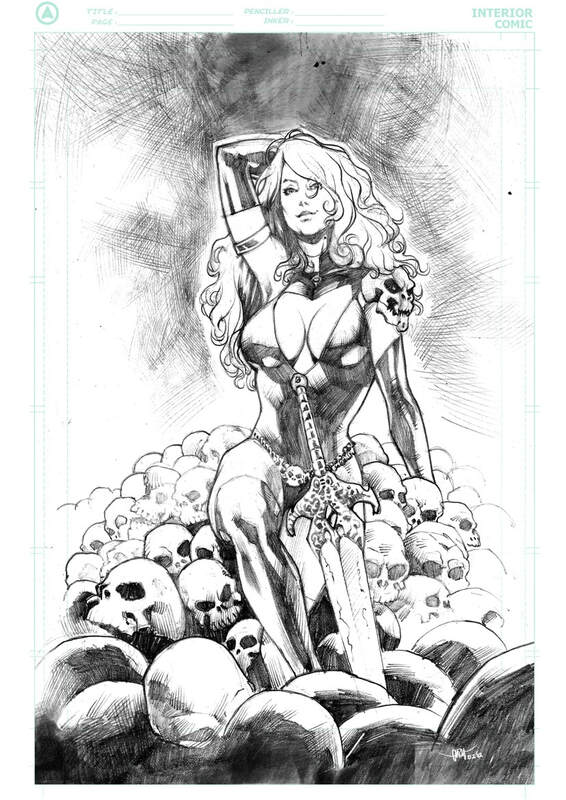 The problem with that option is that pieces are badly cropped at Instagram and this is why that app is a terrible place to view art in the first place. 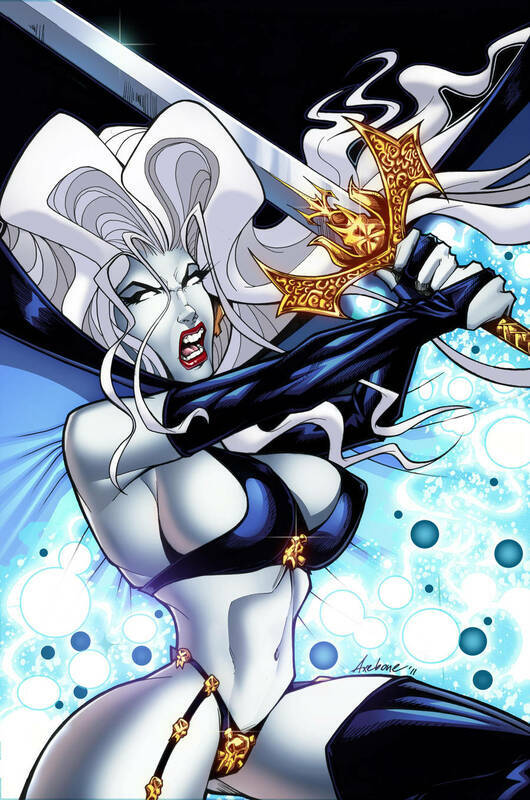 As always I will suggest you start using Vero which is a better social media platform than the current options. 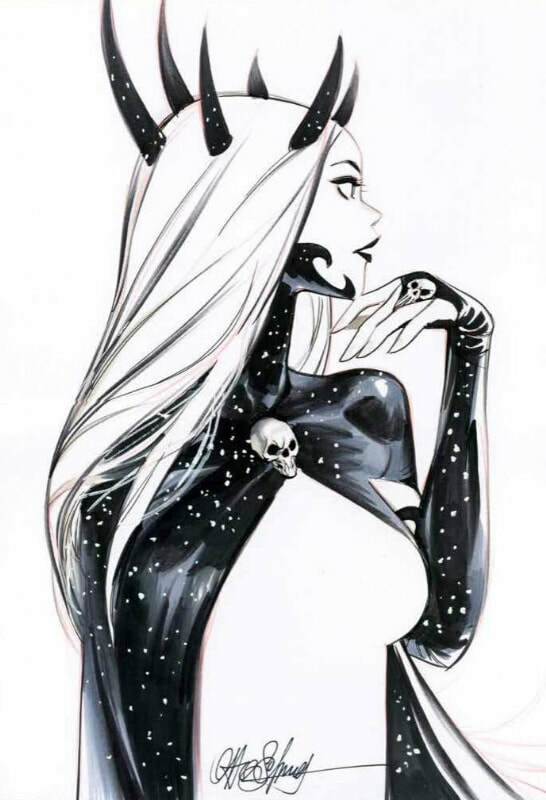 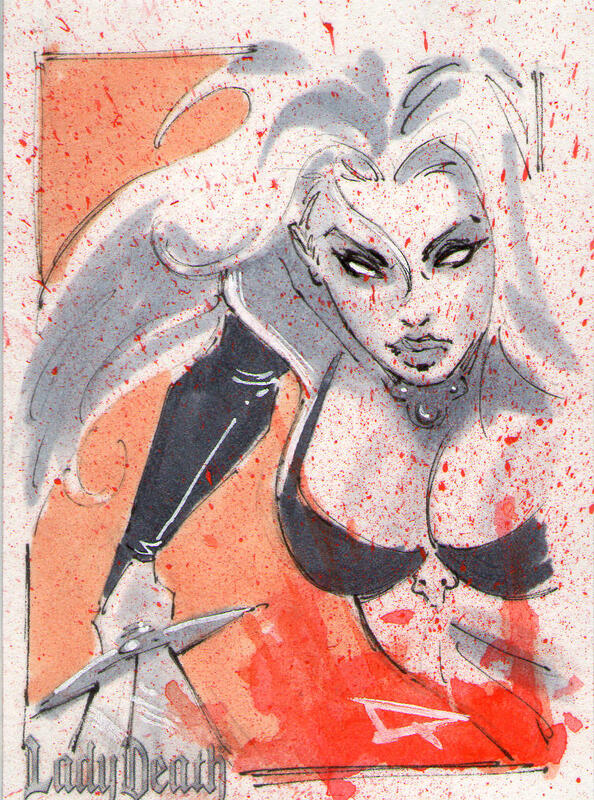 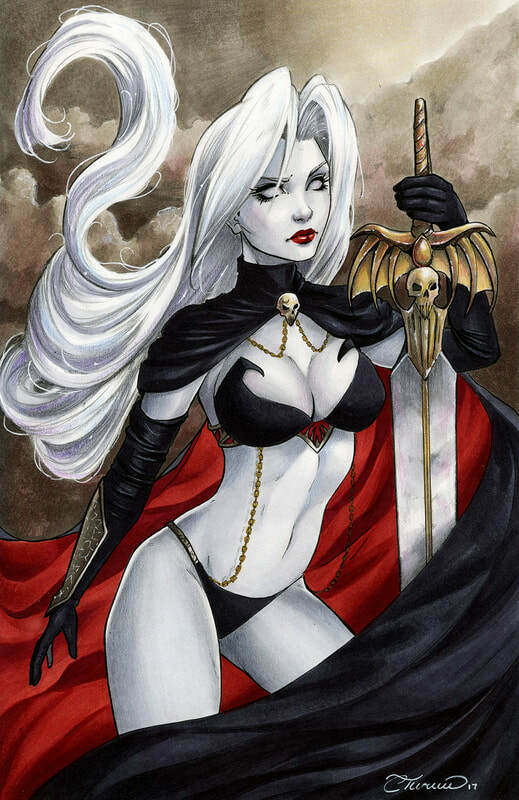 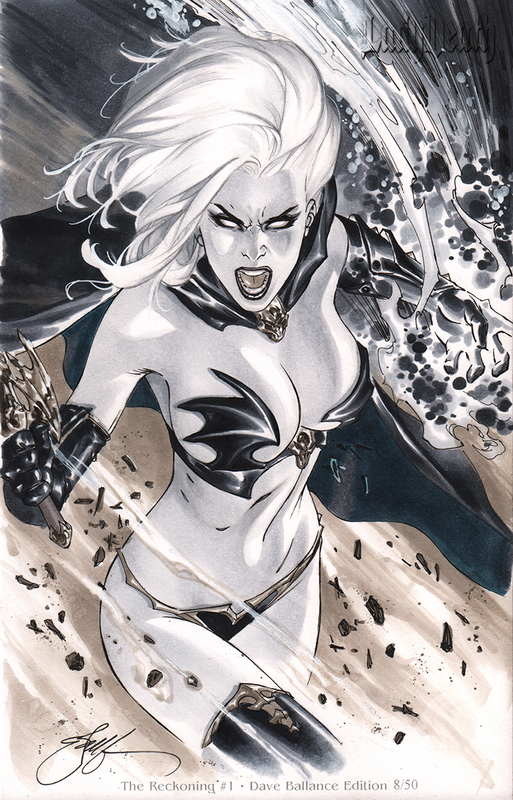 I continue to find amazing Lady Death pin ups and so I will add them to this bonus section.